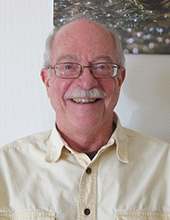 Professor of Radio Astronomy (Emeritus), Chalmers University of Technology, Department of Space, Earth and Environment. Postal address: Onsala Space Observatory, SE-43992 Onsala, Sweden. Prior affiliations: Harvard University (USA), University of Minnesota (USA), University of Arizona (USA). First detection of [NII] 205 μm absorption in interstellar gas. Herschel-HIFI observations towards W31C, W49N, W51, and G34.3+0.1. There might be more projects where John H Black participates, but you have to be logged in as a Chalmers employee to see them.